Comments: Eric joined English singer/songwriters "Chas and Dave" on their special Christmas TV programme, and performed "Slow Down Linda" and "Good Night Irene". 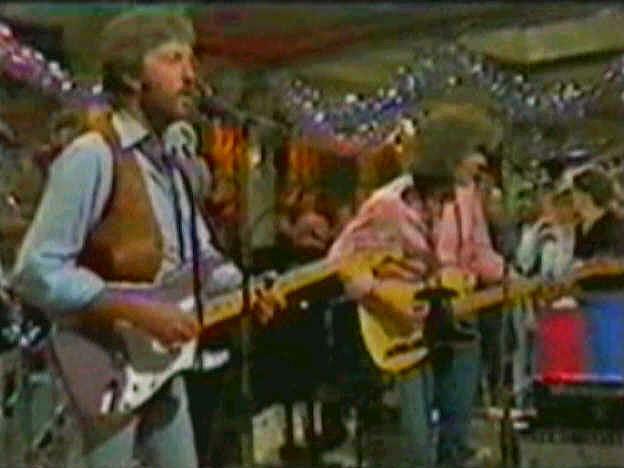 Joined by bandmate Albert Lee, the other band members were: Chas Hodges (piano, vocals), Dave Peacock (bass, vocals), and Mick Burt (drums). Approximately 4th generation PAL format VHS, also available on VideoCD. Watch here as an MPEG1 file (41MB): Click Here For Video.